Harry Beck (1902-1974) worked for London Transport as an electrical engineer. His great idea was born, as all great ideas are, by looking at something familiar and seeing it anew in terms of something quite different. 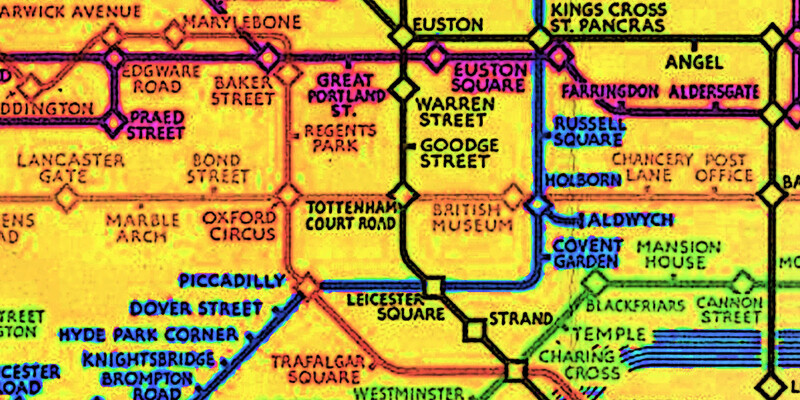 One day in 1931, he sketched the tube map as if it were an electrical circuit diagram: the map he drew showed the order of stations, and the connections between them, but not their geographical positions, nor the length of the lines between them, nor the physical routes they took. Nowadays, we would call this a topological map, but although topology had been well-studied by mathematicians back then, this sort of practical use was new and nameless. Unsurprisingly, Beck's bosses were sceptical. After all, it was an untested skunkworks project by someone without expertise in mapmaking. Nevertheless, he persuaded them to give the design a try. It proved so popular that it has been used in London ever since, as well as copied by countless other railway networks around the world. In this way, Beck made daily life slightly easier for millions of commuters over nearly a century. Most of them have never heard his name.